The holy city of Pushkar was our last stop and we spent 2-3 days there. 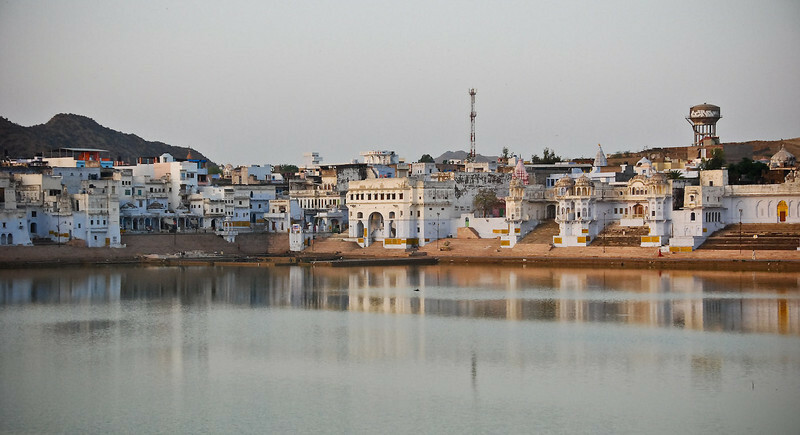 The lake, which sprung up from where Brahma, the Creator, dropped a lotus petal is surrounded by whitewashed buildings and two temples on the surrounding hills. The streets of Pushkar are full of colourful markets, music, pilgrims and many western tourists - of a more hippy nature. We did a camel ride into the desert after riding them though the town streets.